Phifer’s new porch screen offers improved outward visibility. 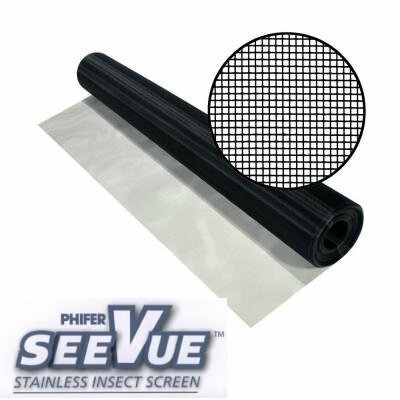 SeeVue allows superior air flow and keeps those unwanted insects outside. NOT to be used in Coastal Areas. SeeVue offers both durability and strength. This stainless steel screen is excellent for porch, window and door applications and is safe to use with pressure treated lumber. This screen is practically invisible on your home and building exteriors, providing great curb appeal, and is easy to clean.